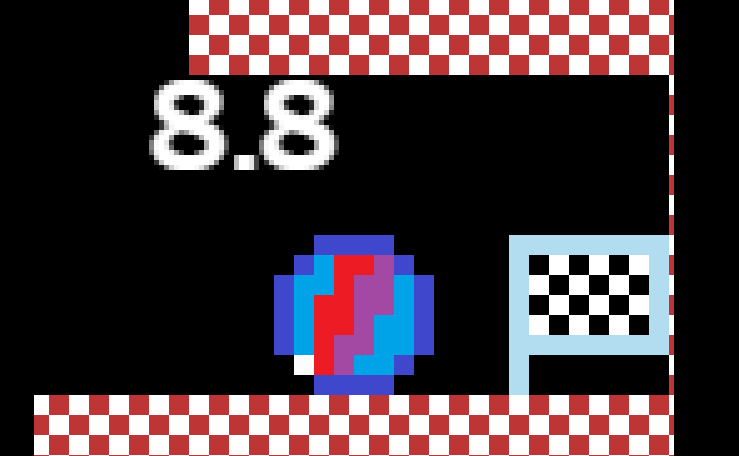 It really is the worst time to have started your #LOWREZJAM project right near the end (was busy with a capstone project for college), but I'm jamming all day today to get it done! Basically, it's me returning to my LRJ2014 project, Marble Incline. The original was probably one of the toughest projects I worked on, since I tried to really hold myself to the low-res feel. Even had the game land on a YouTube show, which made all the legwork worth it. It had a weird executable when I wrapped it up, so not a lot of people were able to play it properly. At least with my growing knowledge of Construct 2, development appears to be a whole lot better. 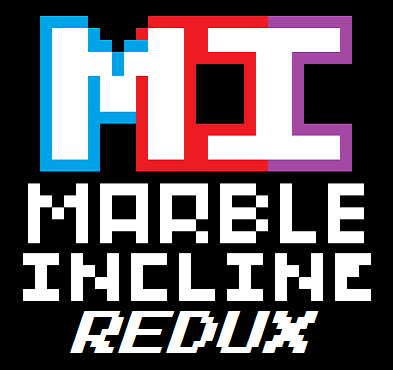 Anyways, have a logo, a screenshot, and a (death animation) GIF of Marble Incline Redux! Still have a lot to work on in the next few hours, so wish me luck!